Viewpoints has been excellent for us. We like the facilities and the staff.submitted by Sharon V. - Aug 17, 2016 |Recommended: YesWe love it Everything very convenient. Our apartment is spacious and meets our needs. Great for the price submitted by Stephanie R. - Feb 24, 2016 |Recommended: YesIt's an apartment so you'll hear your neighbors, that's a given. With a washer, dryer, and dishwasher in unit - you can't beat the price It's close to 28th St and it's fairly spacious as well. Great experiencesubmitted by Lucille G. - Dec 30, 2015 |Recommended: YesThe staff is amazing and the building is always doing events for the tenants, like bingo and trick or treat. My children and I enjoyed living here, we were in a non-upgraded unit that met our needs. The only real issue I had was there wasn't anywhere for the kids to play outside. Excellent Location, Staff, and Amenitiessubmitted by Anthony B. - Oct 13, 2015 |Recommended: YesViewpointe is an incredible apartment community located minutes from practically anything a person would want or need. I looked at a number of other apartments before settling on Viewpointe, and I am so glad that I made the decision I did. From the optional covered, or even underground, parking to the year round pool, and other activities I have been very happy with the community. The apartments are spacious, quiet and quite private. I would recommend this community to anyone looking to live in a place that just feels like home. Excellent staff and maintenancesubmitted by Thomas W. - Sep 29, 2015 |Recommended: YesViewpointe Apartments is a very warm and friendly community, including both the staff and residents. 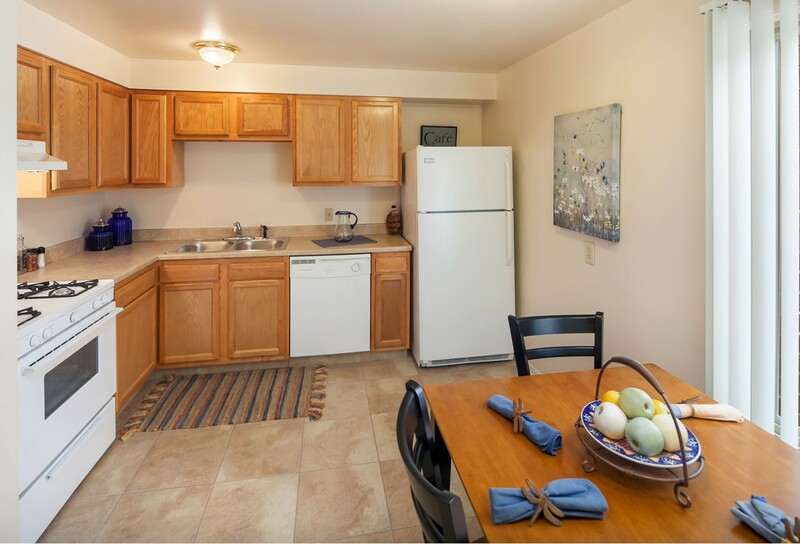 The apartments are well constructed making each unit feel more like a home. Great People! Quiet Apartments!submitted by Ashley C. - Oct 05, 2013 |Recommended: YesLiving at Viewpointe has been a really great experience! I can hardly ever hear my neighbors upstairs, which is so different than other apartments!!! They just remodeled the lobby and it looks great! Very open! They also provide coffee in the mornings which is very thoughtful. I can enjoy having a conversation with people when I see them because everyone who lives here is so friendly, especially the elderly couple down the hall from me! The only comment I would make is it would be nice to have the pool open a little later than 9... maybe like 11 :) and a slight renovation to the pool area(s) and putting green is due.. but I love the sauna!!! Overall it's been great living here the staff is very kind and helpful. As for the apartment it is peaceful and a nice/quiet place to come home too. Viewpointe apartments is good residence.submitted by Makoto M. - Sep 30, 2013 |Recommended: YesWe can live the comfortable life. Great place!submitted by Christopher P. - Sep 19, 2013 |Recommended: YesI've only been living here a few months and in that short time I can tell that they care about their tenants. There have been many recent improvements to the property and I think it's a good place for anyone, be they young, old, and anywhere in between. Beautiful place to live!submitted by Susann T. - Nov 02, 2011 |Recommended: YesLiving at Viewpointe Apartments has finally given me the sense of being at home. It is peaceful, quiet, and fun. And the staff is great! The staff, Lois, Earl, Sharon, Katie, Seth, Derek and others do their utmost to make living at Viewpointe a pleasant experience. Less professional people would not try to compensate for the truly parsimonious budget they are given.submitted by Patsy C. - Nov 01, 2011 |Recommended: YesThe staff is excellent. The residents are friendly. We - the old folks - often say that living here is better than assisted living. We take care of each other and watch out for each other. That helps us maintain our independence. The staff here is also attentive.